First of all, we ALWAYS recommend that you enjoy Craft Pizza fresh out of the oven at our Wicker Park location. It just doesn’t get any better than that! Unfortunately, our small shop is unable to support a dedicated delivery driver. But sometimes you just REALLY need to satisfy your pizza cravings. We get it! So if you are unable to make it in person, we have a great solution for you! We are one of the first restaurants in Chicago to partner up with Uber’s new delivery service called UberRUSH. Simply click HERE, or get our mobile app for Android or mobile app for Apple (search for Craft Pizza). 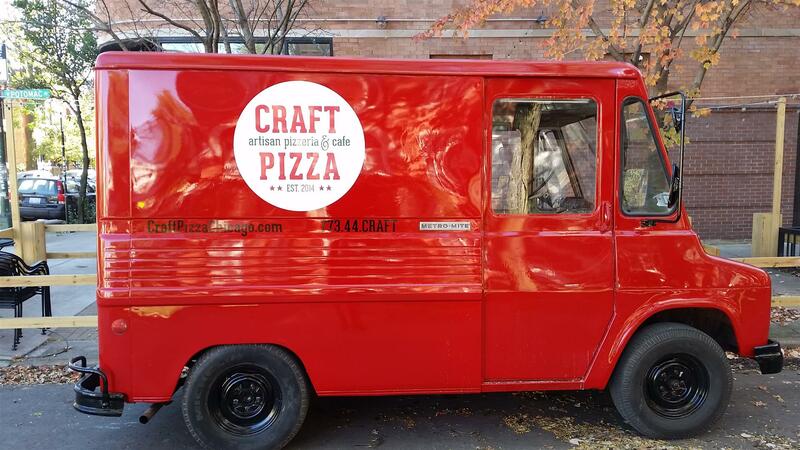 With just a few clicks, your favorite Craft Pizza will be on the way! Currently, we are offering delivery within 1 mile in order to keep our pizza as fresh as possible. So give it a try, and let us know how you like this new option we are trying out for our hungry, yet housebound customers.